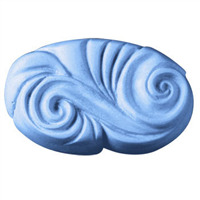 COMMENTS: I love the nouveau design and the soaps turned out perfectly. No issues, very nice to work with. Thank you. COMMENTS: Gorgeous, as always with Milky Way. Detail, artistry, strength, ease-of-use. Milky way is the best! These are quite something. I only wish that I could have a tray with all 3 of the same design (I am not a fan of the top design). 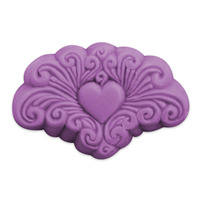 COMMENTS: These are some of the most elegant molds out there that aren't hard to get out and perfect for guest soaps. I love using scents and swirling in other colors to the base color......the bars come out so elegant and beautiful for your guest soaps or for gifts! "Weight of bar is 3.5 oz. but what is the measurement of the bar?" Staff Answer Good question! We will update our 'Overview' tab with this information. The Dimensions are 2.75" x 1"